Saddles come in all shapes and sizes. The saddles found on EuroMini Bikes are engineered to fit most riders comfortably. If you find the saddle to be uncomfortable on our first ride, give it a longer try. Saddles need to be broken in as well as your body needs to adapt to the saddle. If after about a month of regular riding, you are still not happy, consider a saddle that fits you better or a saddle cover with padding. If you have any questions, please email us at support@euromini.bike. Video on how to install/adjust your saddle. Before we begin, it is recommended that you use a bike stand or other means to securely and safely hold the bike while you work in it. Once you've secured your EuroMini Bike, use the Philips head screw driver to loosen the reflector clamp. This is the screw holding the reflector to the seat post and NOT the screw holding the reflector. With the reflector moved aside, you can view and access the saddle clamp bolt. Using the 6mm Allen Wrench, LOOSEN the clamp bolt. It is not necessary to remove the bolt. With the Clamp Bolt loosened, take the top plate and rotate it degrees. With the top plate moved out of the way, you can replace your saddle with most standard saddles sold. To install your new saddle, place the rails of the new saddle onto the bottom plate. Rotate the top plate 90 degrees so that it is resting on top of the saddle rails. 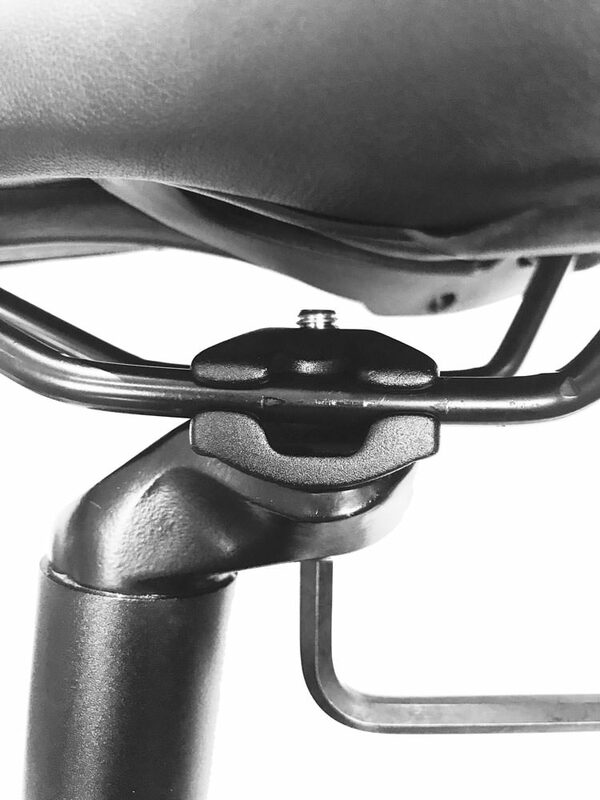 Before you tighten the clamp bolt, now would be a good opportunity to adjust your saddle to a more comfortable riding position. Notice the side view of the saddle clamp. 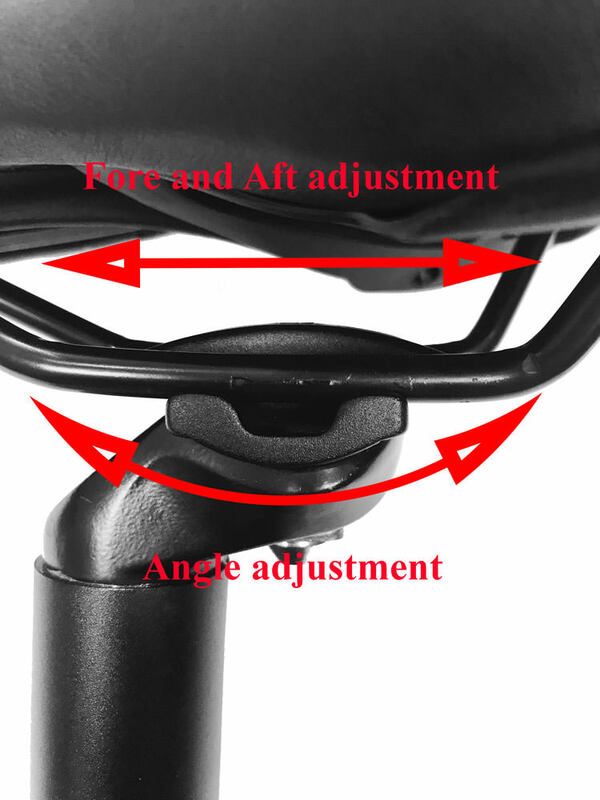 You can adjust the front to back position of the saddle as well as the angle. With your saddle tightened and adjusted, you should be ready to ride! If you have any questions, please email us at support@euromini.bike. As with any adjustments on your bike, if you are not comfortable making any changes or adjustments, please bring your bike to a qualified bicycle technician.